While this particular project might come as a surprise to you, HMPS is the natural fit for any packaging problem. 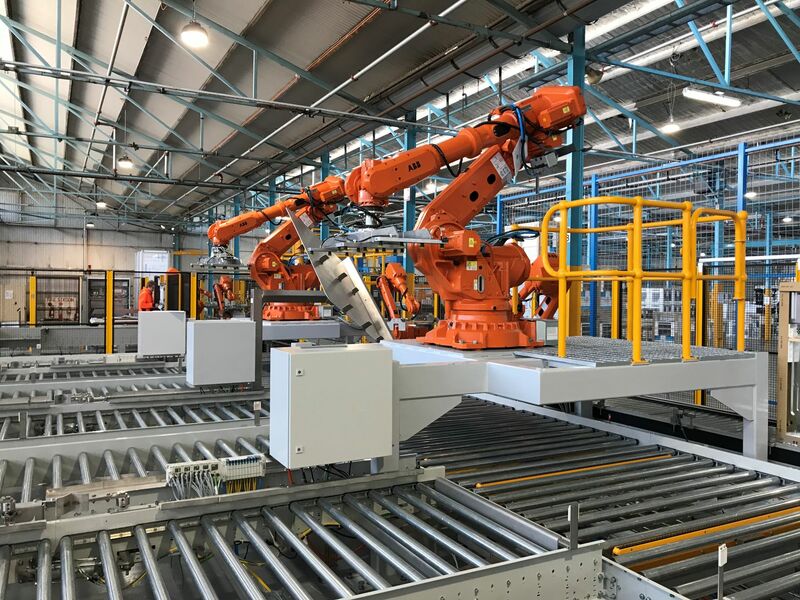 As South Australia’s finest machine building company, HMPS has established a reputation for designing and engineering world-class solutions uniquely matched to every customer requirement. 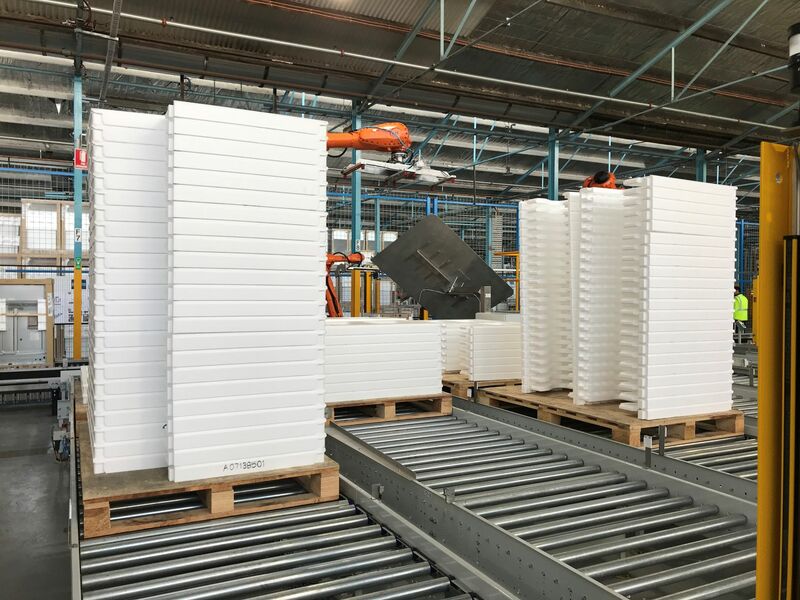 With a history stemming more than 70 years, Electrolux Cooking Products Plant in Dudley Park is one of Australia’s leading manufacturers of appliances. 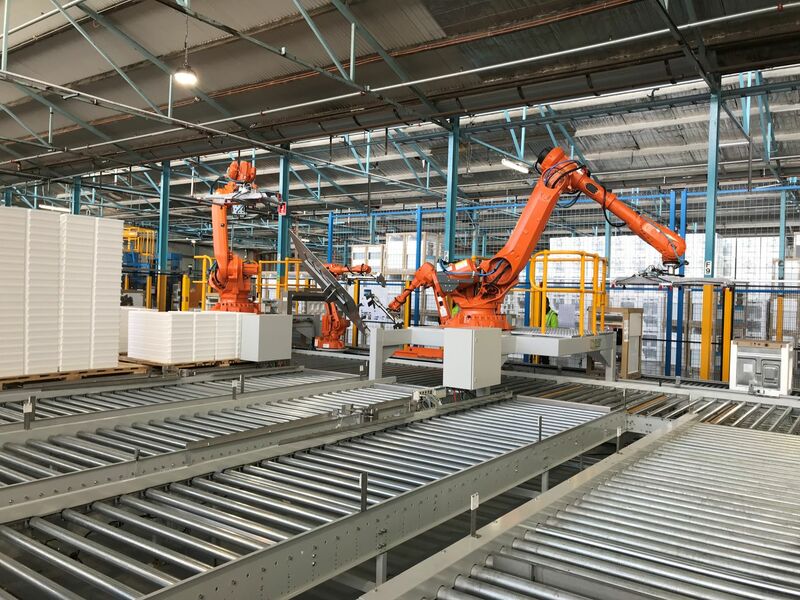 Producing free-standing and built-in ovens and stoves under the Electrolux, Westinghouse and Chef brands, their plant in Dudley Park employs around 450 South Australians. Being part of a large multinational listed company on the Stockholm Stock Exchange, and consistently ranked as the world’s second largest appliance maker by units sold, Electrolux had their pick of OEM’s. The company had offers to pick from any machine builder in the world. Electrolux awarded the contract to HMPS, benefitting local companies and the local Australian economy. HMPS won the contract against a range of international competitors. According to Christian Martin, Manufacturing Engineer for Electrolux Home Products, HMPS was selected based on their technical expertise and significant experience in the packaging industry. These attributes together with their ability to develop flexible solutions made HMPS the idea supplier for the job. “The proposed solution and initial consultation gave us a great level of confidence in the HMPS solution. This was proven when the team was able to accommodate special requests and resolve issues during the commissioning. The execution of the project was to a high standard and we believe we have a best in class solution generated for us right here in Adelaide by a local supplier” comments Christian. HMPS conceptualised and designed the EPS Packaging Automation Cell. 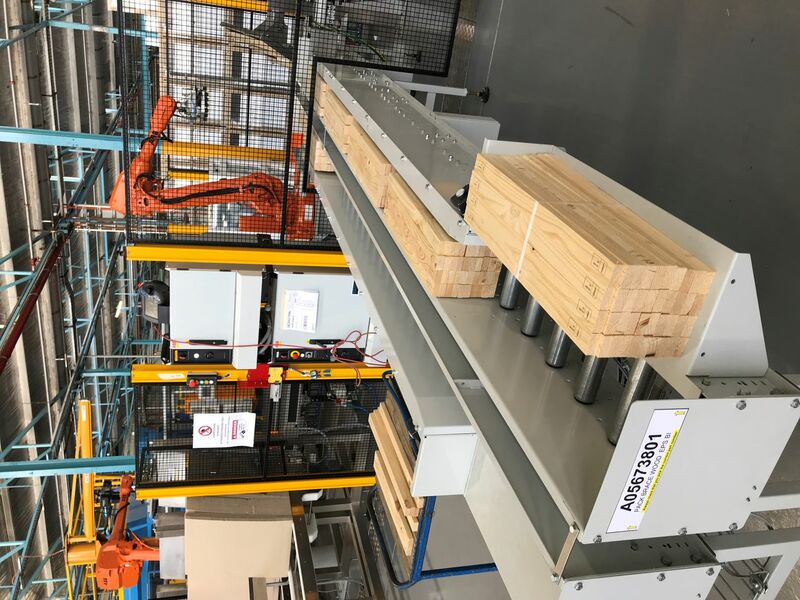 The maintenance team required more uptime, improved efficiencies and less labour coupled with a degree of stringent specifications, safety and quality requirements. In fact, this solution needed to run for 17-hours per day and 230 days per year. Glen Foreman, Sales Manager for South Australia and Applications Engineer on the project says that contrary to popular belief, this project is similar to what HMPS is normally involved in. “Essentially, we engineer and develop solutions to pick and pack stuff. In this case, what we needed to pick and pack just happens to weigh quite a lot more, and it happens to be an oven rather than the foodstuff coming out the oven which we normally pack”. 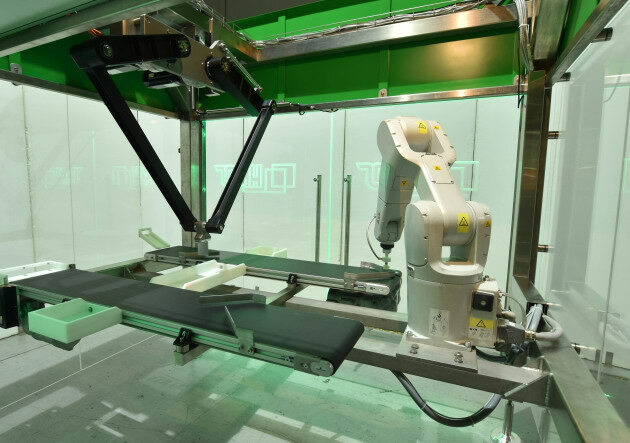 “This new automation cell is designed to run at an overall OEE of 90% based on 1800 assemblies in 476 minutes; this gives a cycle time of just under 16 seconds per unit,” says Glen. According to Glen, the biggest challenge on this project was the layout. “Six parts magazine conveyors serviced by two robots needed to be laid out. With the high stacks involved, reach was an issue which had to be constantly considered” he says. In the end, HMPS was pleased to be the chosen as the automation partner to Electrolux. “This project is being installed and we hope that this is the beginning of two SA companies collaborating well into the future” concludes Glen. HMPS, the proudly Australian-based machine builders scooped up the Moore Stephens Service Provider Award for 2017 at the largest food and beverage industry gathering in Australia. The event is put on by Food South Australia (Food SA) According to the prestigious show organisers, the show sees an audience of approximately 700 guests and the winners typify the diverse food and beverage products manufactured in Australia – ranging from on-trend functional foods to traditional family favourites. Subscribe to our HMPS channel, or follow us on LinkedIn to make contact with us and stay up to date with our next exciting automation and robotics project. HMPS was announced as the winner in the Impact Awards 2017. HMPS was among the forty entries who had been judged by international business leaders to determine who would best represents South Australia’s future for globalisation. HMPS is rec-ognised as having the capability to have a significant impact on global markets and generate high value opportuni-ties for South Australia’s economy. The judges were impressed by the year on year growth, advancement and ambition of HMPS. As a business, it is an exceptionally well run and managed enterprise, with a leadership team who understand the market and how to add value to customers. Subscribe to our HMPS channel, or follow us on LinkedIn to make contact with us and stay up to date with our next exciting automation and robotics project.